Ambiga said today that the Kem Biro Tatanegara, or National Civics Bureau camps, are nothing more than brainwashing sessions. – The Malaysian Insider pic, September 30, 2014. The Kem Biro Tatanegara (BTN) or National Civics Bureau camps are nothing more than brainwashing sessions to turn Malays into racists and bigots, Datuk S. Ambiga Sreenevasan said today. The Negara-Ku patron said parents, whose children had attended the camps, were baffled by the objectives contained within the modules and things that were being taught. 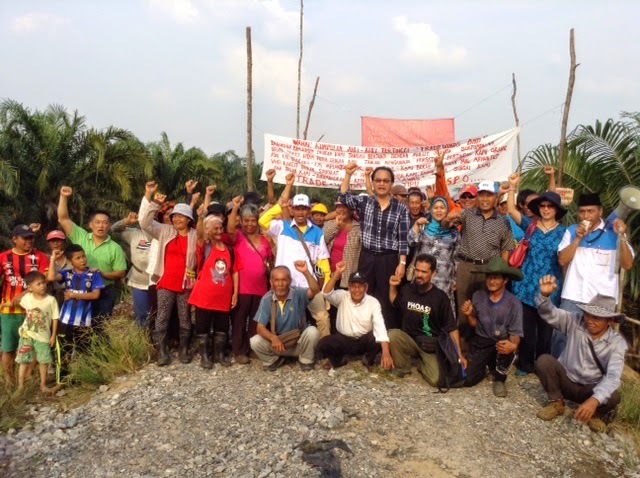 "I have met several Malays who have attended these camps and they come out feeling disgusted and angry." She was speaking during the “4th National Conference on Non-Discrimination: Unity and Social Cohesion in Malaysia – Making It Possible” in Kuala Lumpur. "What does that tell you? Malays are being brainwashed into becoming racists and bigots while attending these national camps," Ambiga said. The National Civics Bureau is under the purview of the Prime Minister's Office and camps are held regularly, especially for civil servants. "I am disgusted with our leaders, they are not interested in tackling these issues. They are only interested in the politics of the issue. "I have heard people say that this particular minister issues racist statements simply because he HAS to do it. "What kind of an explanation is that? 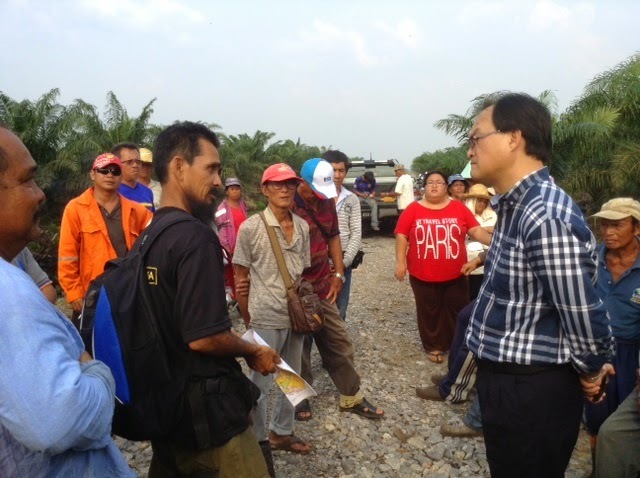 The blame lies entirely with our leaders, there are no excuses," Ambiga said. "Prime Minister Datuk Seri Najib Razak appears to specialise in making fancy speeches when addressing the international community in the United Nations. "But when it comes to walking the talk, Putrajaya fails miserably," she said to a loud round of applause from the audience. "We are interested in national harmony, the rakyat are trying to achieve national harmony, but I am not sure that our leaders are." She also criticised the police reports lodged against constitutional expert Professor Dr Abdul Aziz Bari, saying Malaysia was the land of police reports. "Malaysia must be in the Guinness Book of Records for the largest number of useless police reports being lodged," Ambiga said. "For giving his legal opinion, more than 100 reports are lodged against Aziz. Are you mad? Is this where you want to take the country?" Ambiga said even the English would be embarrassed at the direction their colonial-era law was being taken to. She expressed her incredulity when she read about reports that a group of influential Malays approached the Malay rulers to urge them not to repeal the Sedition Act. "Words could not begin to express my feelings when I read about this meeting," Ambiga said, wondering what was the point of retaining the Act. Dr Aziz Bari, who now teaches at Universiti Selangor, faces the prospects of becoming the second academician to be hauled up in Putrajaya's crackdown under the Sedition Act. – The Malaysian Insider pic, September 30, 2014. The Sedition Act is being used again. This time against academic Dr Aziz Bari for his statements about the Selangor ruler that are deemed seditious by some 100 complainants to the police. The police said these complainants claim he had insulted the Selangor sultan through his statements in "‎Sultan Selangor terikat Deklarasi 1992, perlu lantik Wan Azizah, kata Aziz Bari", published on September 1, and "Only God, not Sultan, has absolute powers, says legal expert" published on September 9. The police are investigating him under Section 4(1)(a) of the Sedition Act 1948 which relates to any person who "does or attempts to do, or make any preparation to do, or conspires with any person to do, any act which has or which would, if done, have a seditious tendency". Nowhere there does it say that a citizen cannot freely express his thoughts on a matter which he is an expert. One has to wonder how liberally can anyone interpret the act to police those who think contrary to the official narrative of the day. It is time that we put a stop to this abuse of the act by people who cannot argue against a contrarian point of view and have to use the state apparatus to shut down dissent and criticism. PKR central committee member Latheefa Koya today pointed out that the sedition blitz came about after some 60 Umno division chiefs met the attorney-general (A-G) and inspector-general of police. Now, we have to ask whether this August 14, 2014, meeting took place, and is the sedition blitz a result of that meeting? It is uncanny and coincidental that the sweep began after that alleged meeting. PKR central committee member Latheefa Koya yesterday urged the attorney-general to drop the slew of ‘Umno-tainted’ sedition charges, saying that the dragnet had only begun after he and the inspector-general of police met with Umno leaders in August. – The Malaysian Insider pic, September 30, 2014.Perhaps, these chaps are at their wits end on how to handle Malaysians who don't accept their narrative and the social media. So they have to badger the police brass and the A-G to take action using a law that few people understand. But Section 3(2) provides certain exceptions, providing examples of speech which cannot be deemed seditious. It is not seditious to "show that any Ruler has been misled or mistaken in any of his measures", nor is it seditious "to point out errors or defects in the Government or Constitution as by law established". It is also not seditious "to attempt to procure by lawful means the alteration of any matter in the territory of such Government as by law established" or "to point out, with a view to their removal, any matters producing or having a tendency to produce feelings of ill-will and enmity between different races or classes of the population of the Federation". But, the act explicitly states that any matter covered by subsection (1)(f), namely those matters pertaining to the Malaysian social contract, cannot have these exceptions applied to it. These amendments were made in 1971 and are specific in nature. As one can see, the act does not cover some of the charges that have been put against a number of people in the last two months. It does not cover political parties or even politicians despite police reports on such cases. Law professor Dr Azmi Sharom was charged with sedition based on statements in an article entitled ‘Take Perak crisis route for speedy end to Selangor impasse, Pakatan told’, which was published in a news portal on August 14. – The Malaysian Insider pic, September 30, 2014.It does not cover people who give an opinion. And, beyond academic freedom, it is about the freedom of expression that we enjoy as citizens under the Federal Constitution. We, Malaysians, must do the right thing. We have to stand by these brave and upright Malaysians who are being persecuted for their views. We have to tell those who cannot argue with them to stop using the law to silence criticism. The law is meant to protect all Malaysians, not a select few. The likes of Aziz Bari and Azmi Sharom are academics who know the law and explain the spirit and letter of the law. To call them seditious for their views is an admission that you cannot argue with them. But that is not an excuse to use the act against anyone for expressing their opinion. It is time that some people grow up, especially petty politicians and sycophants, and participate in the marketplace of ideas without crying for help from the authorities. – September 30, 2014. The 1948 Sedition Act is not a law passed by Parliament and it is therefore unconstitutional, UM associate professor Azmi Sharom's legal team told the sessions court in Kuala Lumpur today. Lead counsel Gobind Singh Deo said the colonial-era law restricts freedom of expression ,which is guaranteed under the Article 10 (1) of the Federal Constitution. Gobind said Article 10 (2) of the Federal Constitution states that only Parliament has the power to impose restrictions to these rights. "Azmi Sharom is charged under the Sedition Act, which is the product of the Law Reform Commission, so we have to decide if this product not passed by Parliament is constitutional," Gobind argued. Countering his argument, Deputy Public Prosecutor Suhaimi Ibrahim said Article 162 of the Federal Constitution states laws passed before the independence “shall, until repealed by the authority having power to do so under this Constitution, continue in force on and after Merdeka Day”. However, Gobind (left) rebutted: “The position they take seems to suggest that, if it is pre-Merdeka, it stands, because of Article 162 (of the Constitution). The sessions court will decide on Oct 1 whether to transfer Azmi Sharom's case to the High Court. Azmi, who was charged under the Sedition Act, is challenging the Act's constitutionality. He was charged under Section 4 (1)(b) of the Sedition Act, with an alternative charge under Section 4 (1)(c) of the same Act, for a seditious statement made on Aug 15. 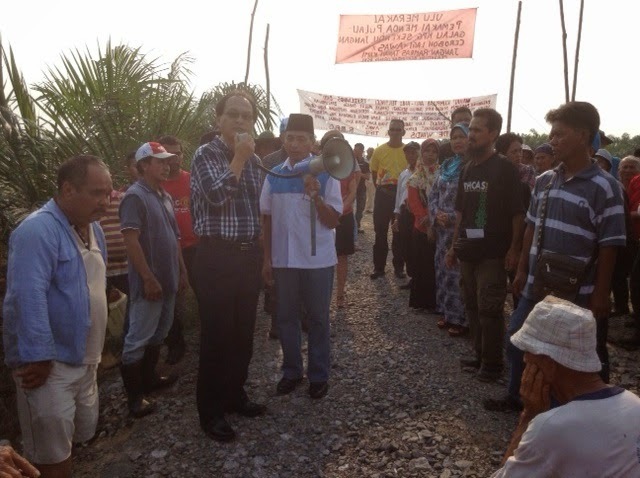 He is accused of writing the seditious statement in an article titled 'Take Perak crisis route for speedy end to Selangor impasse, Pakatan told', which was published by the Malay Mail Online news portal. KUCHING: State PKR chairman Baru Bian yesterday expressed hope that the new Selangor Menteri Besar Mohamed Azmin Ali will be the “menteri besar for all”, irrespective of political support. Baru, who is Ba Kelalan assemblyman, believed that Azmin, who is also PKR deputy president, would be able to lead a government that is transparent, accountable and caring that would continue to put Selangor as a Pakatan Rakyat model state. “Being the richest state (in Malaysia), I think that they have a lot to give. It is not only important for the state to have a lot of cash deposits, but they must be prudent in spending the money. The state government must spend the money for the benefit of the people,” he told a press conference yesterday. Baru was glad that the crisis had finally been resolved, although it appeared not to be in accordance with the legal provision. Baru said what was paramount was the understanding of PKR leaders, particularly party president Datuk Seri Dr Wan Azizah Wan Ismail who withdraw her candidacy and gave way to Azmin to be appointed as the Selangor menteri besar. On another matter, Baru took the opportunity to thank the Lawas Lun Bawang pastors for organising the Anti-Drugs Day with the theme ‘Drugs will destroy your faith, drugs will destroy the people’ in Lawas on Sept 13, which was also attended by Lawas MP Datuk Henry Sum Agong. 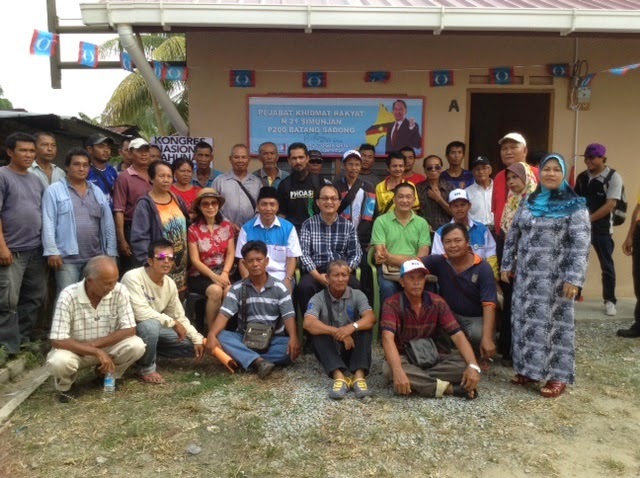 On Sept 15 to 17, Baru also celebrated Malaysia Day with the Lawas constituents in Long Sukang. He said the attendance at the function was the best since it was first organised in 2012, with a sports carnival and concert being part of the activities that were well participated by the local people. With the good response for the event, Baru said there was a suggestion for the celebration to be held in Trusan, Lawas next year.